Cheap Campervan Hire Australia – best time to get low price? Are you searching for cheap campervan hire Australia deals? Where do you start when looking for those cheap as chips discounted campervan hire deals? Many people ask us what are the best secret tricks to pay less for cheap campervan rentals in Australia? Below is our top list of how to get discounted campervan hire in Australia. Have a read of our guide and let us know if we have missed any tips. If you have a secret way or method to get the cheapest campervan hire deals in Australia, then contact us and we will share it here! 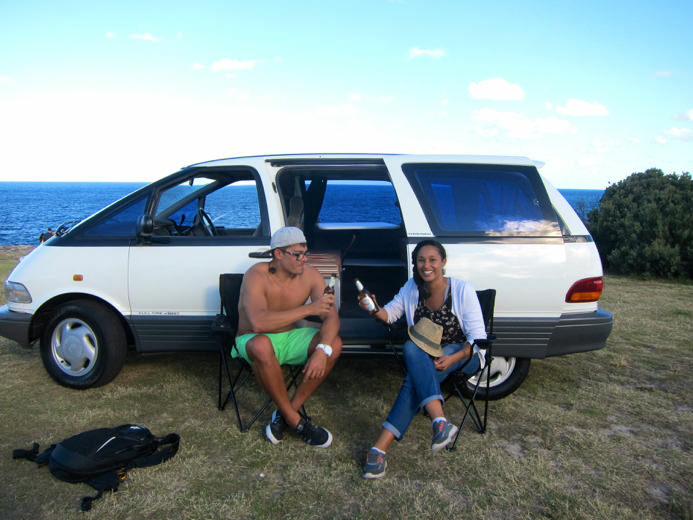 Celebrating cheap campervan hire Australia deals – cheers with some beers! We asked our members of staff in our Sydney campervan hire team this question. Here are their suggestions about how to get discounted campervan hire in Sydney. These guys should know all about cheapest campervan hire Australia deals! They have all worked in our reservations team, and know about cheap campervan hire roadtrips! Below are their top tips for cheapest campervan hire deals. It for example lists how not to pay top prices for campervan hire starting from Sydney! If you need any more help or advice at any time regarding cheap campervan hire discounts and promo codes, then call 0412766616. You can email our team at [email protected] We will help you learn more about our discounted prices for cheap campervan hire in Australia. Before you start searching on google for, “cheap campervan hire Australia”, you need to ask yourself this question. Do you know when is the cheapest time to hire a campervan in Australia? In order to get the lowest prices, first of all you need to know how campervan hire companies set their rates. However, before you do this, we especially recommend reading our weather guide to Australia. There is no point in getting some killer deal, and hiring a campervan in the wet season in Australia! The earlier you reserve your campervan hire holiday in Australia, the cheaper the price will be! Why is this? Simply answer is that campervan hire companies such as Travelwheels Campervans need advance bookings! 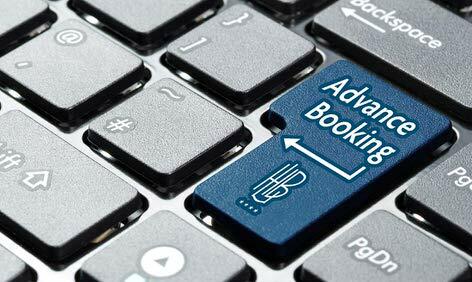 If they have plenty of advance bookings, then consequently their cashflow will be easier to control. This means campervan companies in Australia for the most part offer the greatest discounted campervan hire deals in advance. Therefore the earlier you book your campervan, the cheaper it will be! It’s the same principle for those budget airlines as well! This is especially true if you book way in advance the price is low! Smaller or older campervans are cheapest to hire? It all depends on your budget and as a rule, the older or smaller the vehicle, the cheaper the campervan will be to hire. With everything in life, you have to get the right balance between price Vs age Vs quality! 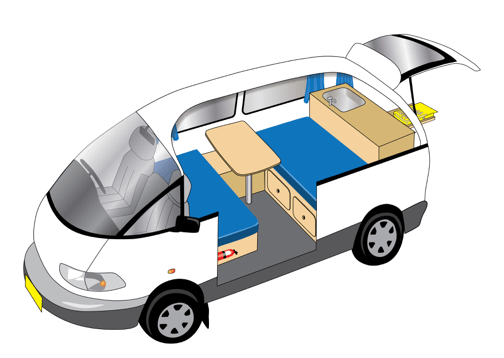 If the campervan is a newer model or holds more passengers, the price will be higher! There are plenty of campervan hire companies that target budget travellers to Australia. Companies such as Jucy, Spaceships, Travellers Autobarn, and Camperman Australia all hire campervans in Australia. For example, Travelwheels Campervan Hire have a special price match guarantee in place. They will beat all competitors when it comes to cheapest Sydney campervan deals. The most competitive pricing is the small campervan hire market in Australia. This therefore has the greatest number of competitors and thus the biggest discounted campervan hire deals! Check out Travelwheels small campervan for hire. These 2 person campervans are great for anybody looking for budget campervan hire! These small campervans for hire have everything you need for budget campervan hire roadtrip. For a discounted deal on these small campervans, call our team on 0412766616 or email us at [email protected]. We price match and beat all competitor quotes for Sydney to Sydney campervan hire for example. There is a lot of competition in Australia right now! Just to let you know, there is a price war going with campervan hire, tours, trips, etc! Therefore this means you can pick up a bargain as there are a lot less tourists now visiting Australia! One great way to get a discounted cheap campervan hire deal is to do a google search! Type “campervan hire price match guarantee” into google and see what comes up! Most of the main campervan hire companies such as Travelwheels Campervan Hire have these Price Match Guarantee. One way to get a cheap campervan hire deal is to ask for a quote from say Travellers Autobarn for example. Rather than settle for that quote, quickly email one of their competitors such as Jucy Campervans. Therefore then tell them you got a cheaper quote from a competitor company! 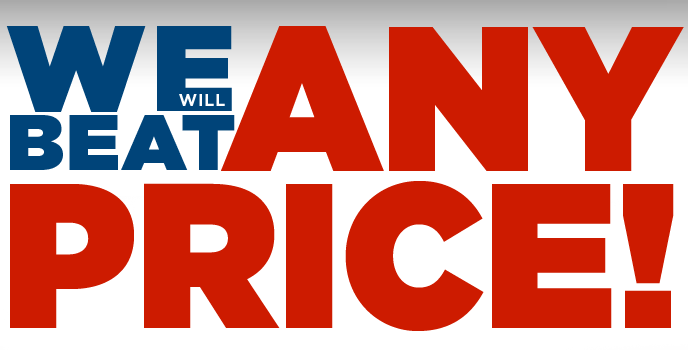 Ask them to offer you a better price, and especially quote their price match guarantee! You can save a fortune on campervan hire in Australia by simply doing this one trick! Here is Travelwheels Campervan Hire Price Match Guarantee. In addition to price matching, they also offer an extra 10% discount on top to win the business! Therefore this is one of the best ways to get those super cheap campervan hire Australia deals you read about on the internet! 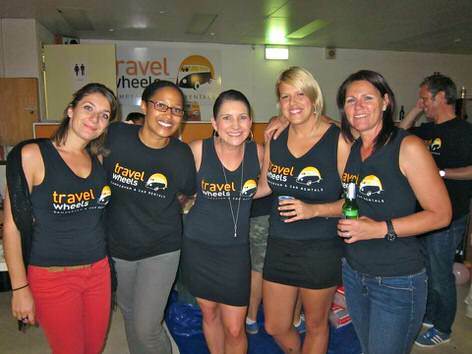 Travelwheels for example state they beat all competitors for Sydney to Sydney Campervan hire. The only downside is all campervan hire companies will not price match during the busy Christmas and New Year period! The seasons in Australia – when is peak season for campervan hire? The high season or most expensive time to hire a campervan in Australia is mostly between November and February. Can you travel outside these dates? Are your plans flexible to travel outside the high season and thus, get a cheap campervan hire discounted deal? Do not ask for a campervan quote over xmas, New Year and furthermore in the first week of the year! This is the most expensive time to hire a campervan in Australia! It is always cheaper to rent a campervan in Australia when the kids are at school. Remember Australia has different school dates to most of Europe and North America! 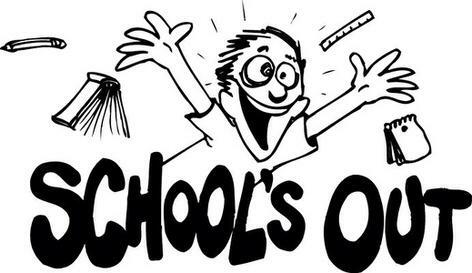 School summer holidays in Australia are December and January. Can you travel outside these dates? This is the busiest time of the year for campsites, hotels, car and campervan hire in Australia. If you are looking for discounted cheap campervan hire, do not book in these months! Sydney to Cairns or Cairns to Sydney – what is the cheapest route? The most popular campervan hire trip is Sydney to Cairns! As it is the most popular you would think it would be the cheapest campervan hire route in Australia? Remember most people reserve their campervan from Sydney to Cairns, so by thinking differently, you can save big! As a result of a bit of research you can quickly find some big savings here! Therefore by reversing your trip from Cairns to Sydney you can get up to 50% discounted deal! This is one of our top tips and often will lead the very cheapest campervan hire deals in Australia! Normally, if you book more than 21 days, you can get a cheaper deal on campervan hire. Travelwheels Campervan Hire have two extra discounts on all campervan hire quotes for trips longer than 22 days. If you hire a campervan from travelwheels they automatically give you $5 a day discount if you book for 22 days or more! Hire a campervan for 36 days and Travelwheels by the way will give you an extra $10 discount per day! This is a great way to save money and get a cheaper campervan hire quote by booking more days! Campervan Hire Insurance – how to get cheaper deal! This is an area you have to be careful for a number of good reasons! Campervan Hire Insurance can be very expensive! Furthermore one way they tried to fool you is to say this is a cheap campervan hire deal at only say $29 per day. Therefore it initially sounds like a good deal, but wait for the sting in the tail, the insurance! For example as a result of adding on insurance to the daily rate the price can sky rocket! For the most part by the time you add all the extra fees it can blow out the real amount you have to pay! This is often a sneaky way for campervan hire companies to trick you initially with low rates for campervan hire. However, this is one area, Travelwheels Campervan Hire does suggest you really investigate. It is particularly important to understand the risks and make sure you are fully covered. Accidents can happen at any time! Before you go any further we suggest in the meantime to make sure you understand the risks. Furthermore find out how much you will be liable in the event of an accident (regardless of who is at fault). Here is a useful guide to campervan hire insurance in Australia and clearly explains the different options available to you. Once you have read up on the different options for campervan hire insurance, is there any way to get a discounted deal? Some camper hire companies will offer cheaper insurance if you book a long term campervan hire deal for 40 days or more. Remember most campervan hire companies offer three different insurance options for your holiday. In this case, you can choose the option depending on how much risk you want. You can save money and get cheaper campervan hire insurance by taking the average or middle insurance option. As a result of not taking the full cover, you will be liable to bigger bond. However on a positive note it will work out as a cheaper daily rate for the insurance with a bit more risk. Cheap campervan hire Australia Compare Prices! If you need to find the cheapest campervan hire from Sydney, then simply enter your dates below! Our price comparison checker will give you the cheapest campervan deals we have at this moment in time. Remember we will not be beaten on Sydney to Sydney Campervan Hire all year around! Alternatively you can call our campervan hire team in Sydney on 0412766616. Why not email us at [email protected] and we will do our best to offer you the lowest prices for camper hire!